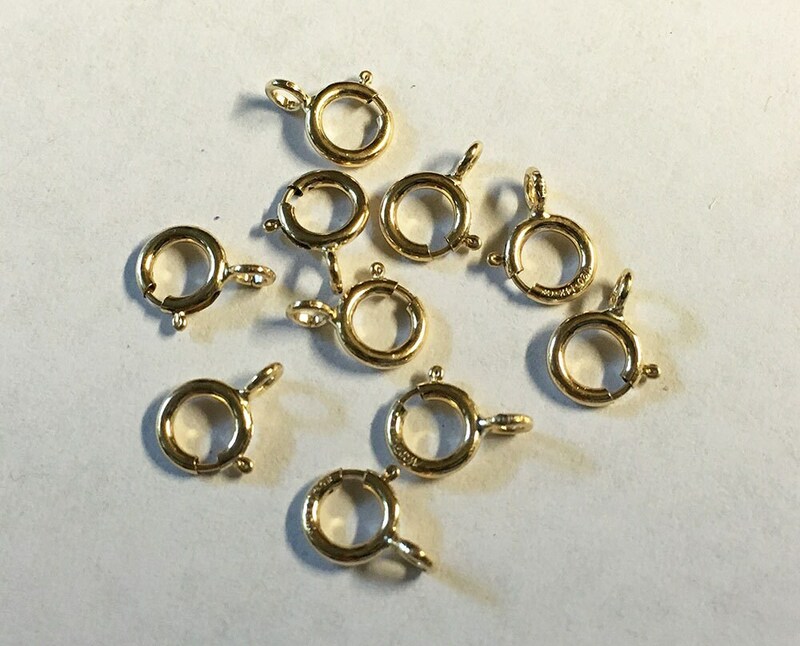 10 Gold Filled spring ring clasps measuring 5mm. Spring rings are used with a jumpring or a chain tab to make a complete clasp. Pull trigger to open. Release and the clasp automatically springs closed.